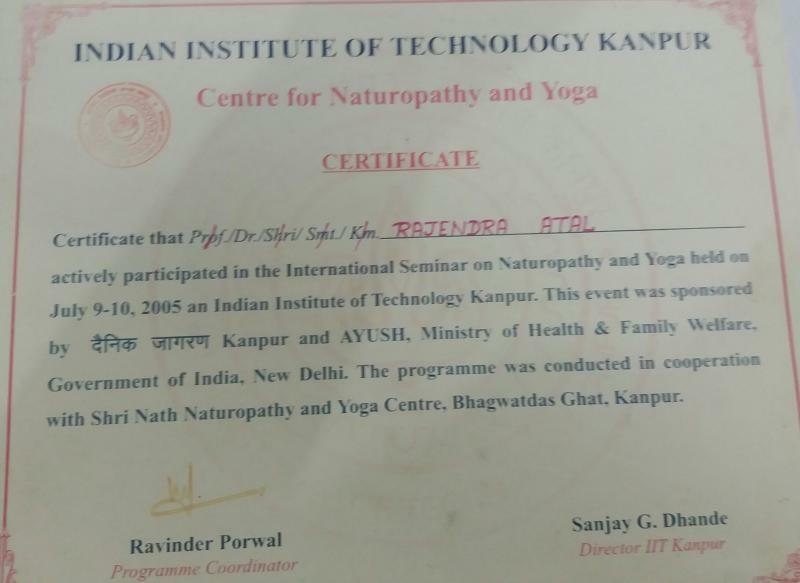 *Honored for excellence nature cure service by Indian Institute of Technology Kanpur in international seminar on Yoga & Naturopathy sponsored by AYUSH, Ministry of health and family welfare. *Honoured by Delhi govt. 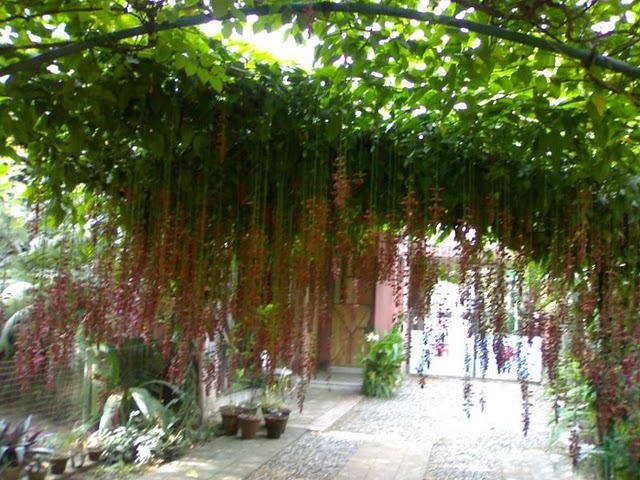 as Glory of Delhi. 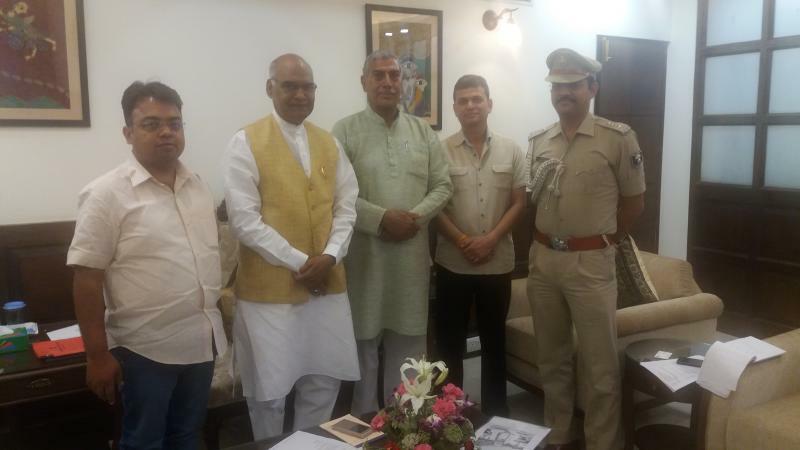 *Honoured by Deendyal Upadhyay Vichar Manch. Ramgarh, Shekhawati Rajasthan. 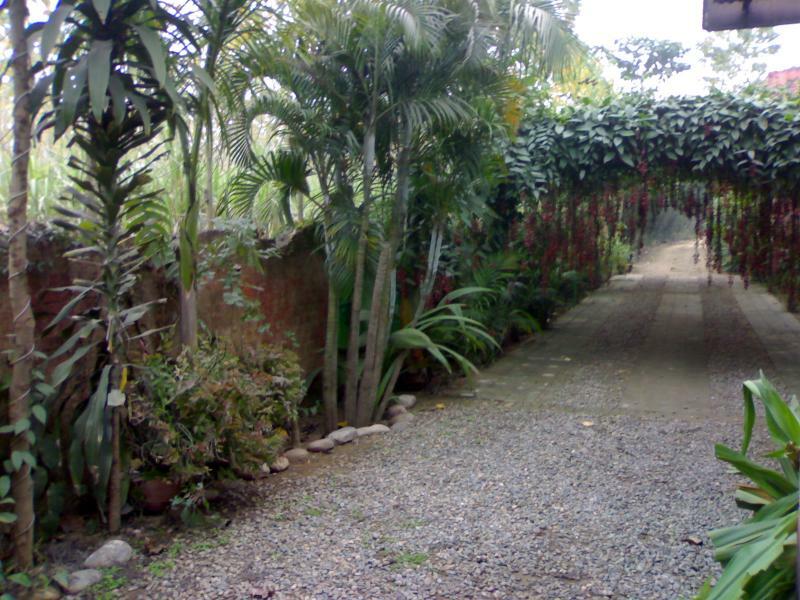 *Honoured for environmental conservation by 6th world conference for environment. 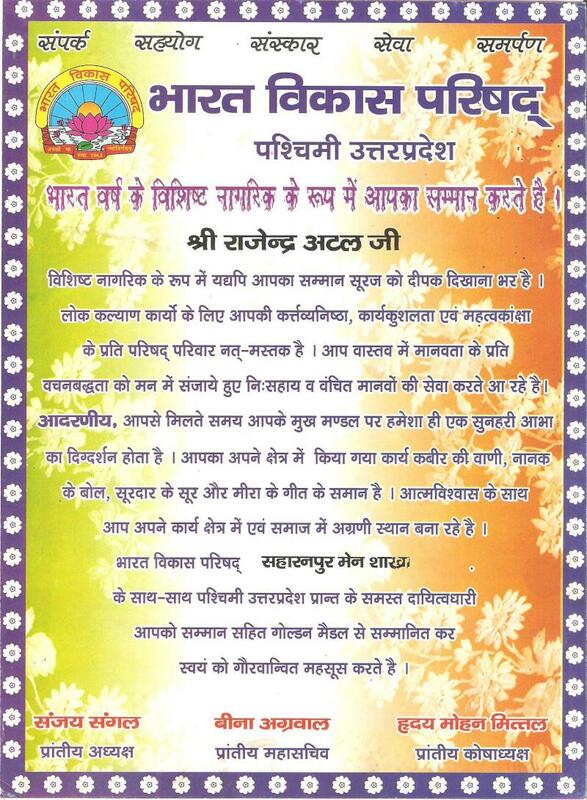 *Honoured for naturopathy extension by Bharat Vikas Parishad Saharanpur. *Honoured for participating in family welfare and health fair organized by Chief medical officer, health department Saharanpur, UP Govt. *Honoured for Son of India by International human welfare council, New Delhi. 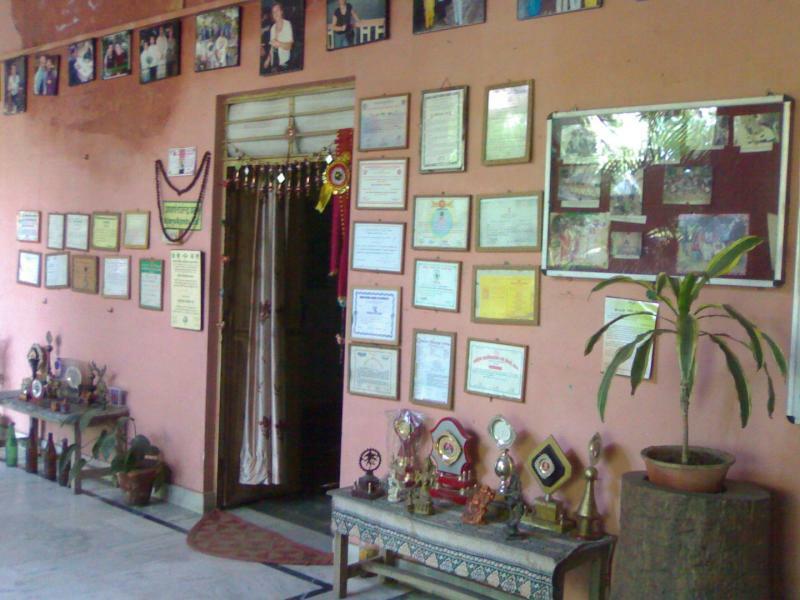 *Honoured for establishment of ethical values in the field of Naturopathy and Yoga by Shunya Sanstha, Saharanpur. 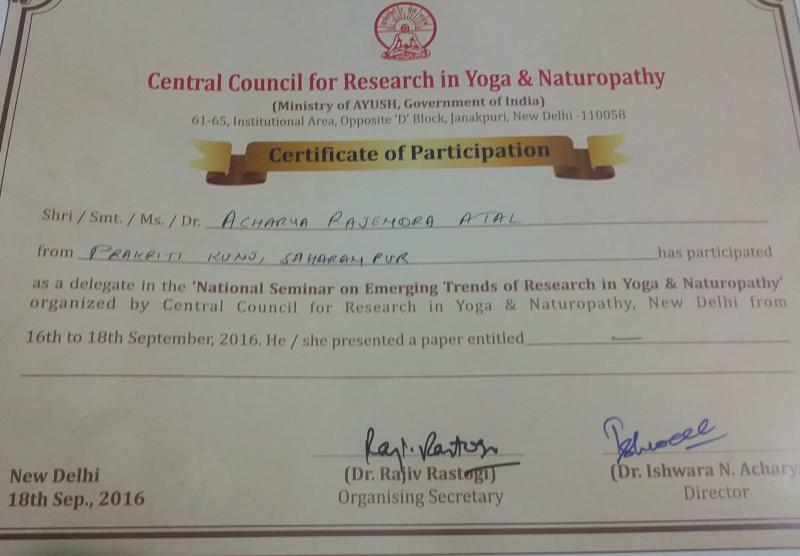 *Participated & honored 2nd world conference on Yoga & Naturopathy in Kathmandu, organized by Nepal Yoga & Nature Cure Association. 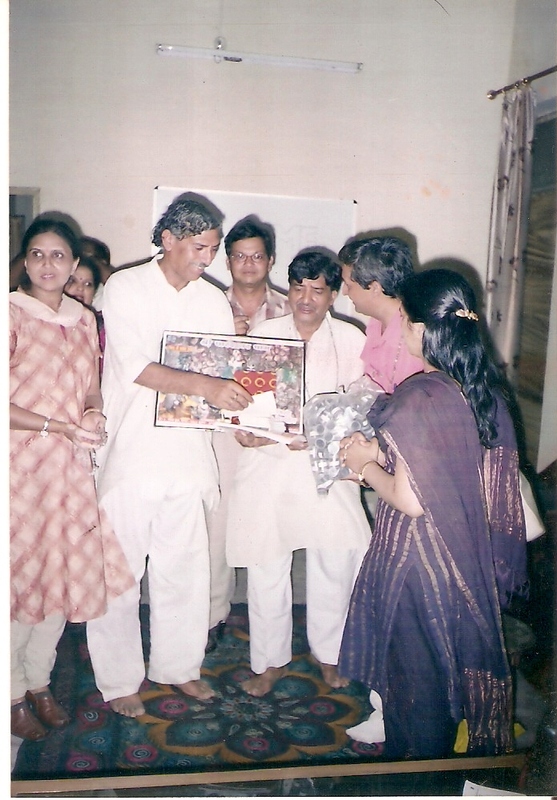 *Awarded Certificate for participation in the Naturopathy History Congress from 18-2-07 to 20-2-07 organize by National Institute Of Naturopathy, PUNE at Urlikanchan. 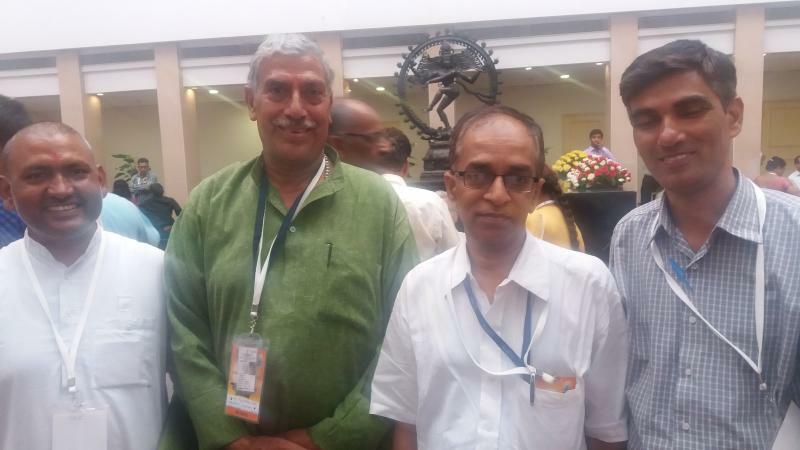 Acharya Atal address the History Congress. *Participated & organized food and nutrition training program by food and nutrition board, ministry of human resource development, New Delhi. 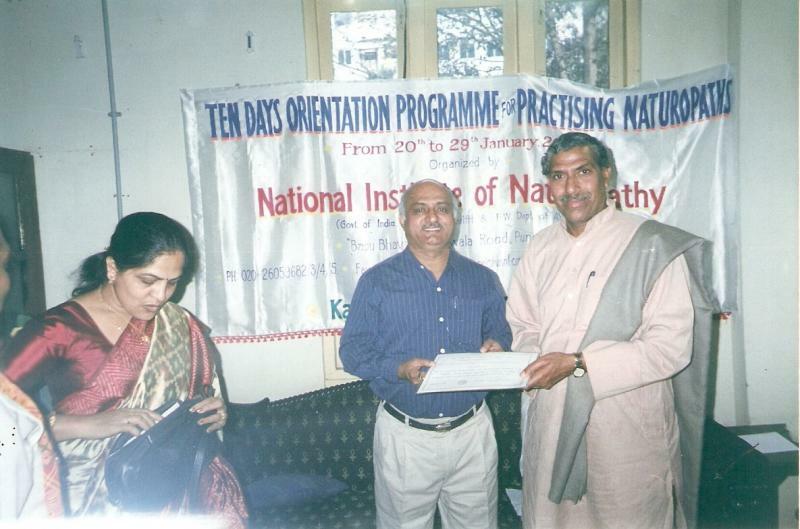 *Organized Naturopathy Training program for doctors, teachers, students through National Institute of Naturopathy, Pune.